I have numerous Paladins, four to be exact at various levels. Two Alliance and two Horde. One of my Alliance Paladins is level 90 the other is 81. My highest Horde Paladin is 82 the other being 72. My first shot at Paladin was on a friends account during Vanilla. He had a level thirty something Dwarf Paladin Holy moly there were a lot of buttons and abilities! At that point I only had my little Warrior so it came as a bit of a shock how full his action bars were. The class itself seemed fun though. 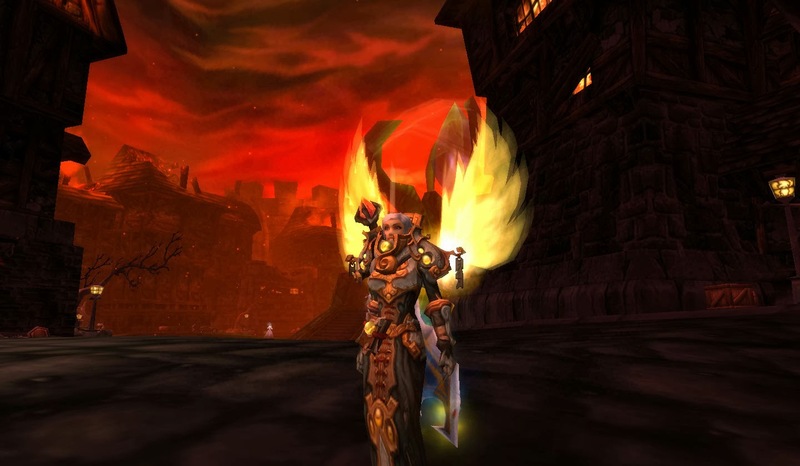 Much later I created my first Paladin, a Draenei during The Burning Crusade. She somehow got stuck around level 39 for the longest time until Wrath of the Lich King. During the expansion there had been several changes to Paladins and I decided to pick her back up. She was later changed to a Blood Elf. I raided a little bit on her though Icecrown Citadel. All of my Paladins are Protection although I really enjoy healing on them. I'm a bit surprised as my goto spec for most classes is Holy. I have literally no idea how to play Retribution other than "hit thing in face! ".